Google’s recently announced Pixel and Pixel XL haven’t launched yet, but that won’t stop leakers from getting information about the handsets out to the world. 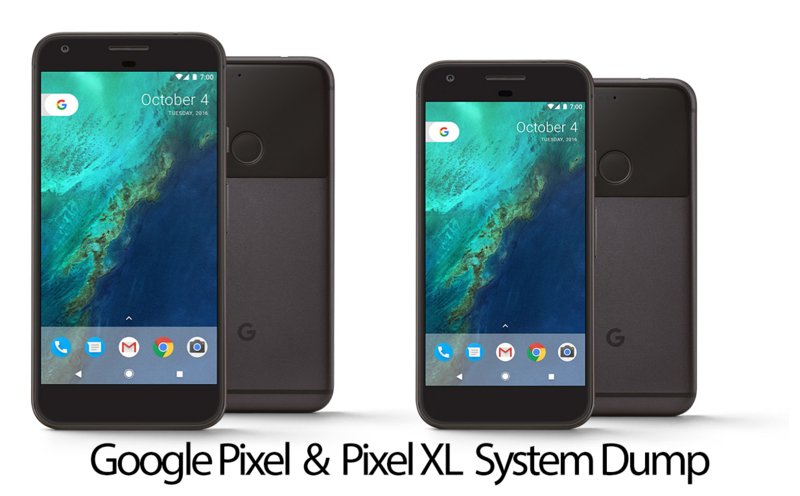 And the most recent leak we’ve spotted is a biggy: the official Pixel ‘Sailfish’ and Pixel XL ‘Marlin’ system images. As if it were bound to happen eventually, LlabTooFeR, a popular HTC-focused developer/leaker, has surfaced the official system images that will ship on the Pixel and Pixel XL once they launch later this month. Each package that’s available to download below contain three files each: a boot.img (a.k.a the kernel), a system.img (a.k.a a system partition that contains mainly APKs and JARs for applications and system functions to run), and a system_other.img (a.k.a. a second system partition that contains odex fixes). These images respectively contain the code names ‘Sailfish’ and ‘Marlin’ and feature the October 5th security patch. Touching a bit on the codenames, we knew about these identification methods since it was originally rumored that HTC was building the next Google phones (which they did, in case you didn’t hear). LlabTooFeR notes that these names have remained the same since day one and now are featured in these leaked images, an indication that these packages are legit. Regarding the security patch, the October 5th patch that’s loaded onto the Pixel and Pixel XL hint that these devices will launch later this month. Otherwise, we’d see a November or later security patch in these images as Google tends to keep all of their devices up to date with the latest security patches as they ship their phones and tablets out. Obviously, we’ll have to actually have to wait and see if the company does launch these handsets in the tenth month of the year, but for now these leaked packages indicate the answer to that question is a big fat yes. We don’t have much more information about these images as of now to share, but as more begins to surface about what’s inside the packages like the first evidence of the Google Assistant and what capabilities the built-in apps have, we’ll update this article alongside write and publish additional ones for your viewing and reading pleasure. To me, I think we’ll see the official Pixel Launcher leak officially right from these images at some point in the next few days, so stay tuned. If you’d like to download these images and examine them for yourself, click one of the links below. It’s worth noting that you can’t install the images on any device currently available, so don’t try it. Trust me.